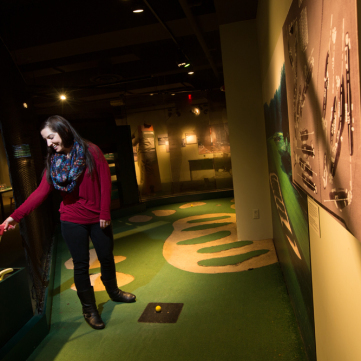 Home > Sports Museum > Exhibits > Hit the Links: Golf in Western Pa. Golf in Western Pennsylvania dates back to 1887, when Joseph Mickle Fox developed an 8-hole course in Foxburg, Clarion County, after learning the sport in Scotland. Other courses followed, including the demanding Oakmont Country Club designed by Henry Fownes in 1903. The region’s industrial wealth, persevering workers, and rugged terrain made Western Pennsylvania a hotbed for exceptional golf and superlative golfers. Eventually, the region would produce one of the world’s greatest golfers, Latrobe native Arnold Palmer, whose 62 PGA tour victories, seven major championships, and charismatic persona captivated television audiences and elevated the sport’s global popularity to new heights. Today, Western Pennsylvania is home to more than 700 golf courses, including the Foxburg Country Club – the oldest golf course in continuous use in the U.S. – and, of course, the Oakmont Country Club, which has hosted a record eight U.S. Open championships, with another on the way in 2016. 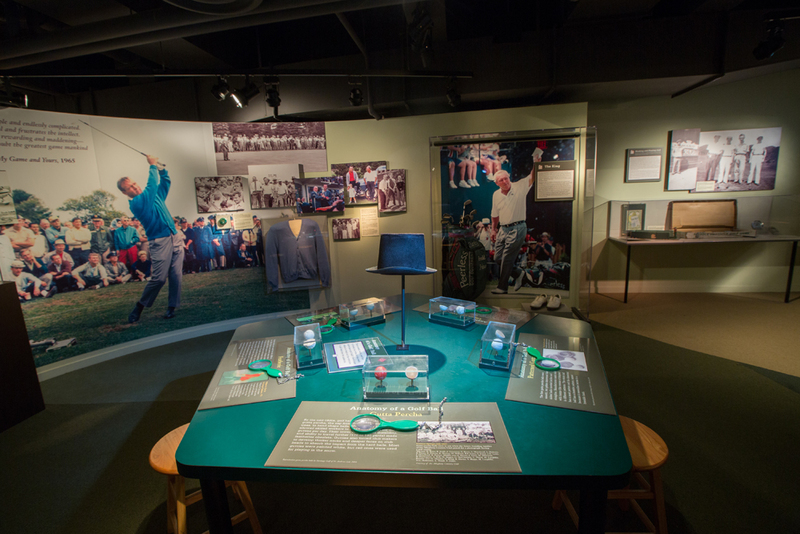 Visitors to the Sports Museum’s golf section can discover and relive the greatest moments in Western Pennsylvania golf history, from local pro Sam Parks shocking the golf world at the 1933 U.S. Open, to Jack Nicklaus’ 1962 triumph over Palmer in his “own back yard” at Oakmont, to Johnny Miller’s still-unmatched “63” round in the 1973 U.S. Open. 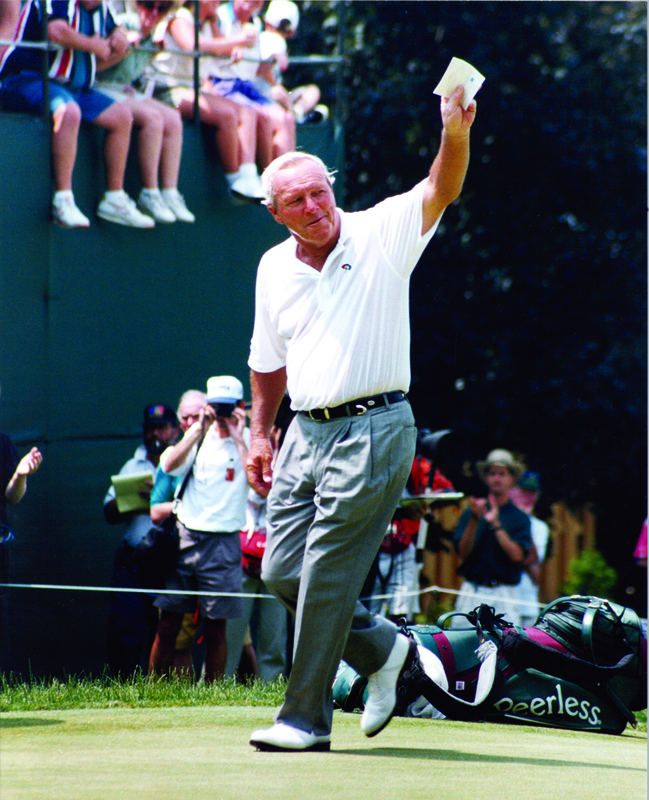 Arnold Palmer is one of the few athletes to have truly revolutionized a sport. His spectacular play netted him four Master’s championships, the 1960 U.S. Open, and an “army” of fans. 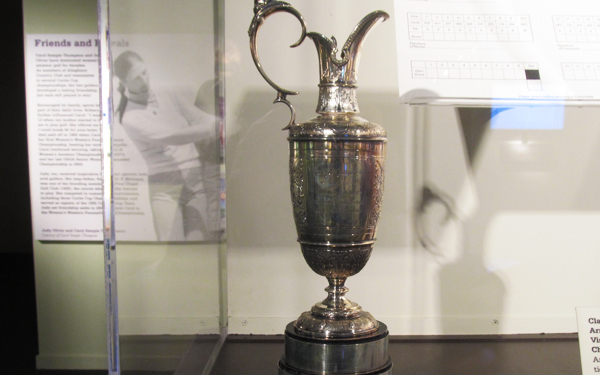 In 1961, Palmer captured his first Claret Jug trophy at The Open Championship, also known as the British Open. He would repeat the next year in 1962. 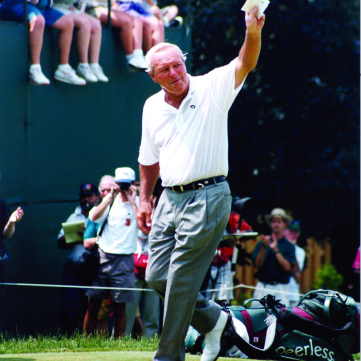 Arnie’s Army: The name Arnold Palmer is synonymous with the sport of golf. Discover the story of Palmer’s early years at Latrobe Country Club and view match-worn items such as his signature sweater, golf bag, spikes, and more. Tee Time: Tee off in the golf section with several interactive activities. Examine the evolution of the golf ball, try your hand putting through Oakmont Country Club’s famed “church pew” sand bunkers, sink the winning birdie, and design your own golf course. 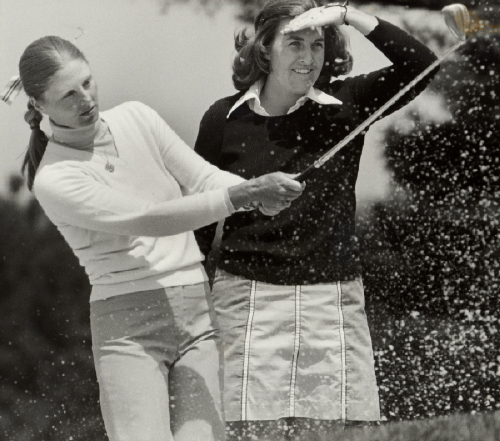 Curtis Cup Champs: Celebrate the region’s rich amateur golf history and see artifacts from the team that captured five straight Curtis Cup Championships, led by Carol Semple Thompson and Judy Oliver. 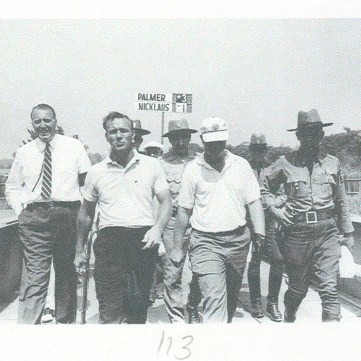 Learn about local legend Arnold Palmer as part of this KQV Radio History Minutes recorded by History Center President and CEO Andy Masich. 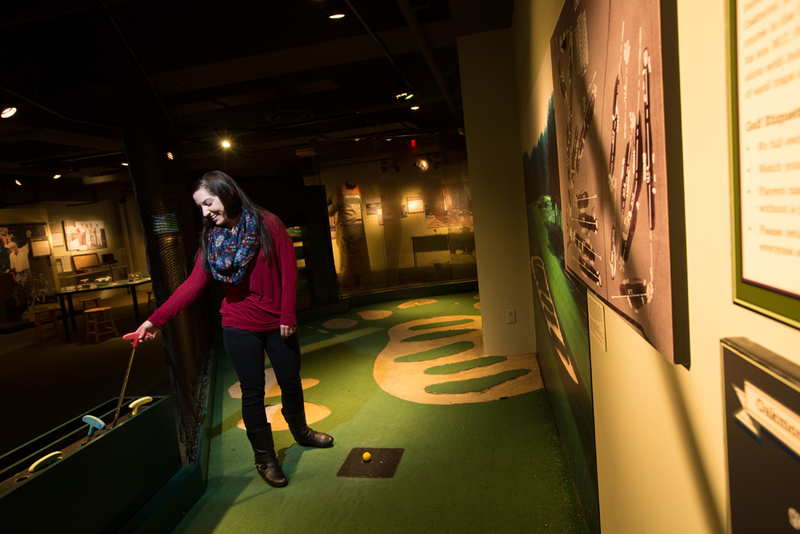 Enjoy a variety of interactive activities inside the golf section of the Sports Museum, including a station dedicated to the evolution of golf balls. 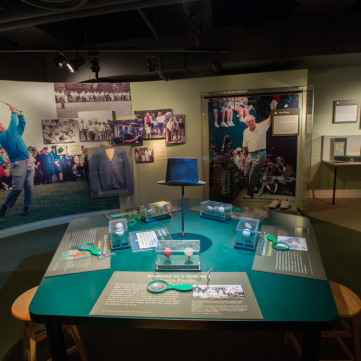 Enjoy a variety of interactive activities inside the golf section of the Sports Museum. Shoot for a hole-in-one, examine the inside of a golf ball, and revel in the greatness of Western Pa. golfers such as Arnold Palmer, Carole Semple Thompson, and much more. Golf legends Arnold Palmer and Jack Nicklaus battled at the 1962 U.S. Open at the Oakmont Country Club. Golf legends Arnold Palmer and Jack Nicklaus battled at the 1962 U.S. Open at the Oakmont Country Club. Nicklaus would go on to defeat Palmer in “his own backyard” at Oakmont, notching his first professional tour victory and his first of 18 major championships. As a trailblazer for today’s high-profile professional golfers, Latrobe, Pa., native Arnold Palmer established himself as golf’s first worldwide superstar. As a trailblazer for today’s high-profile professional golfers, Latrobe, Pa., native Arnold Palmer established himself as golf’s first worldwide superstar. His dramatic victories and charismatic persona captivated television audiences and elevated the popularity of golf across the globe. During his illustrious career, Palmer amassed 62 PGA Tour championships, including seven majors. Despite his international stardom, Palmer’s Western Pennsylvania ties remain strong. Since 1971, he has owned the Latrobe Country Club, the same course where he learned to play the game. 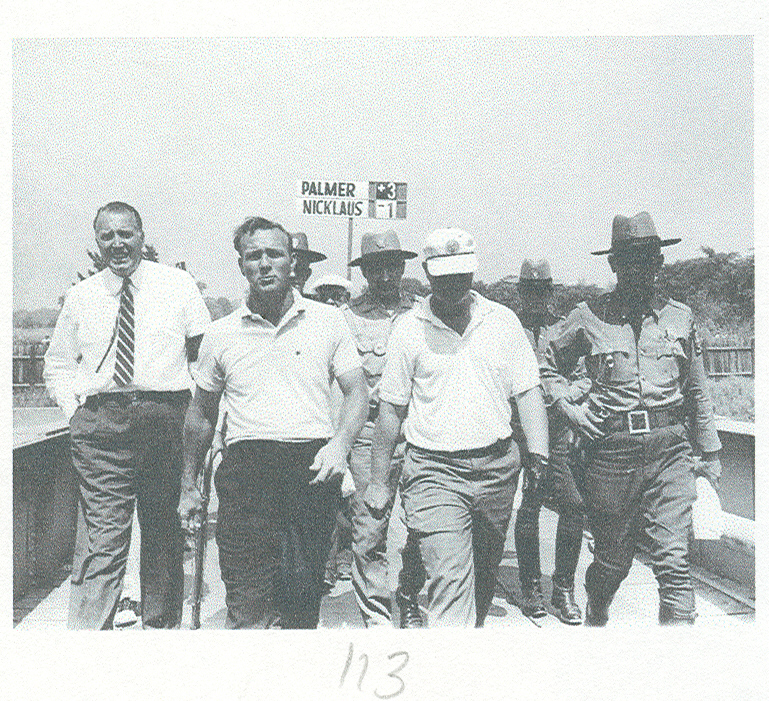 In 1999, the Westmoreland County Airport was renamed the Arnold Palmer Regional Airport in honor of the avid pilot. Pittsburgher Carol Semple Thompson is one of the most accomplished amateur golfers of all time. 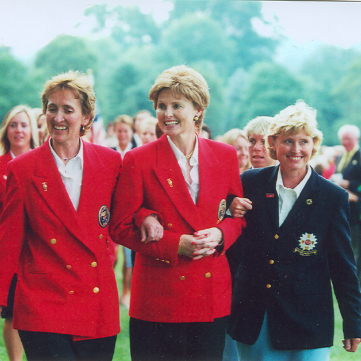 Pittsburgher Carol Semple Thompson is one of the most accomplished amateur golfers of all time. 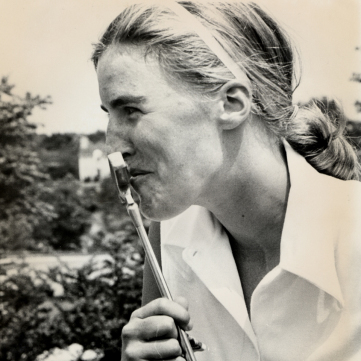 Born to a prominent golf family from Sewickley, Semple Thompson won seven national titles throughout her illustrious career. Only legendary golfers Bob Jones, JoAnne Gunderson Carner, Jack Nicklaus and Tiger Woods have earned more. 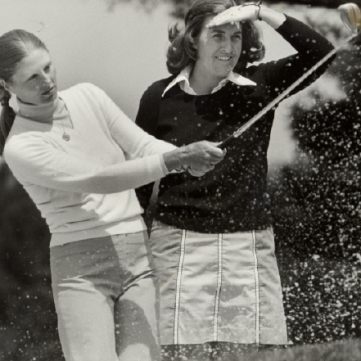 Longtime competitors, friends, and fellow Sewickley natives, Judy Oliver and Carol Semple Thompson are among the most accomplished amateur golfers in history. 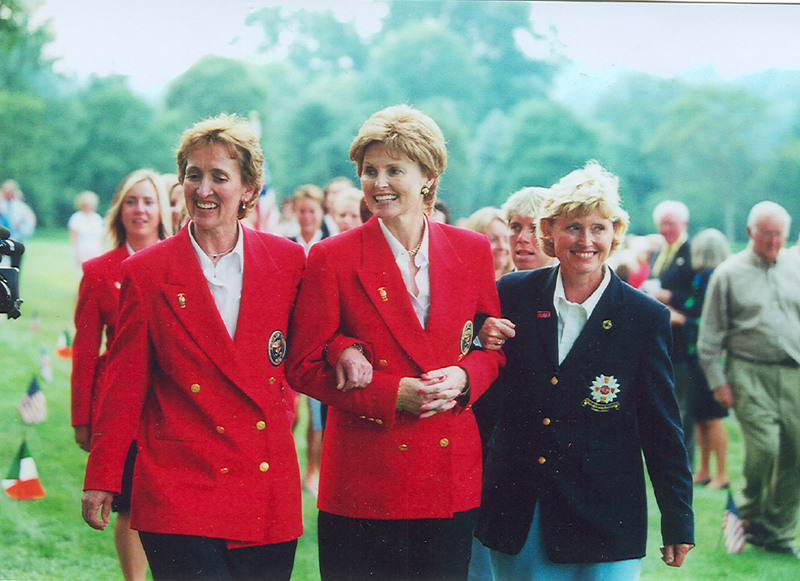 Honorary captain Judy Oliver is pictured here at the 2002 Curtis Cup Match at the Fox Chapel Golf Club in Pittsburgh. Try your hand putting in this mini-golf version of Oakmont Country Club’s famed “church pew” sand bunkers.